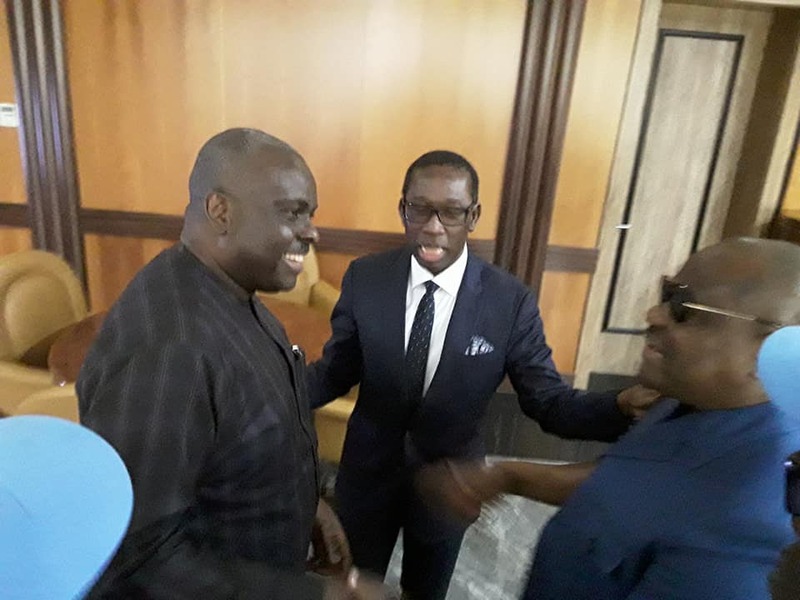 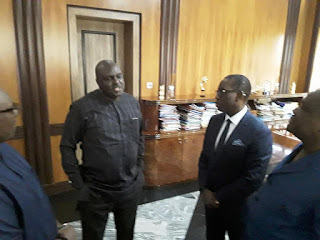 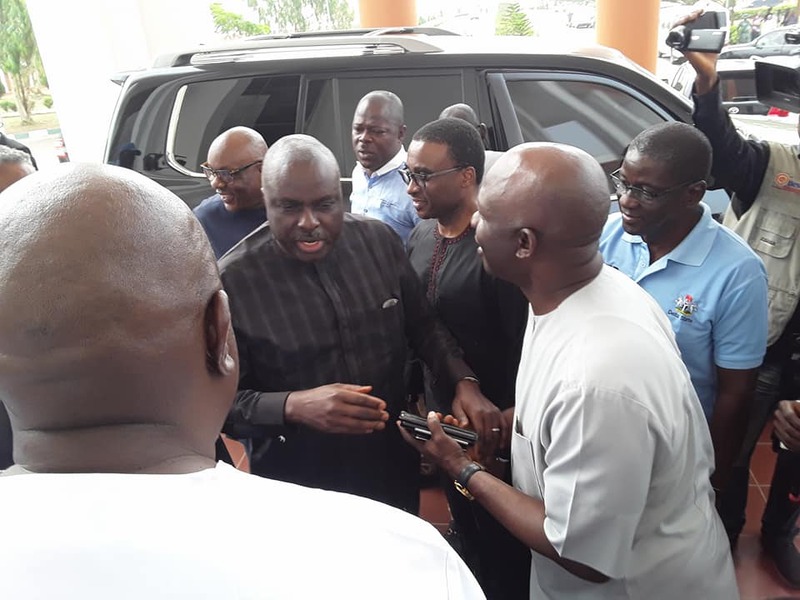 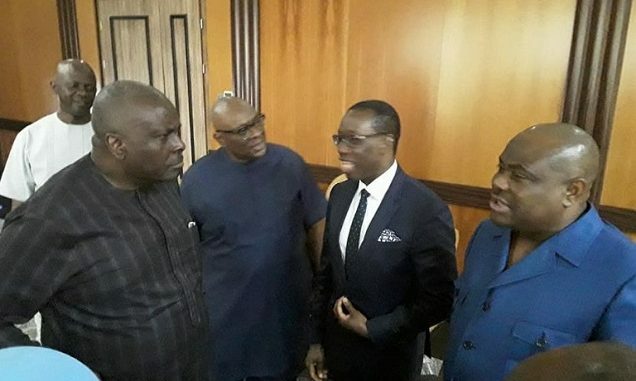 Former Delta state governor, James Ibori, this morning joined the Rivers state governor, Nyesom Wike, to pay a courtesy visit to the incumbent governor of Delta state, Ifeanyi Okowa. Ibori was governor of Delta state from 1999 to 2007. 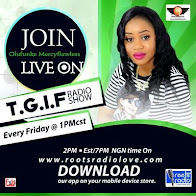 He was arrested and sent to jail in in the UK in 2012 for stealing from the state treasury. 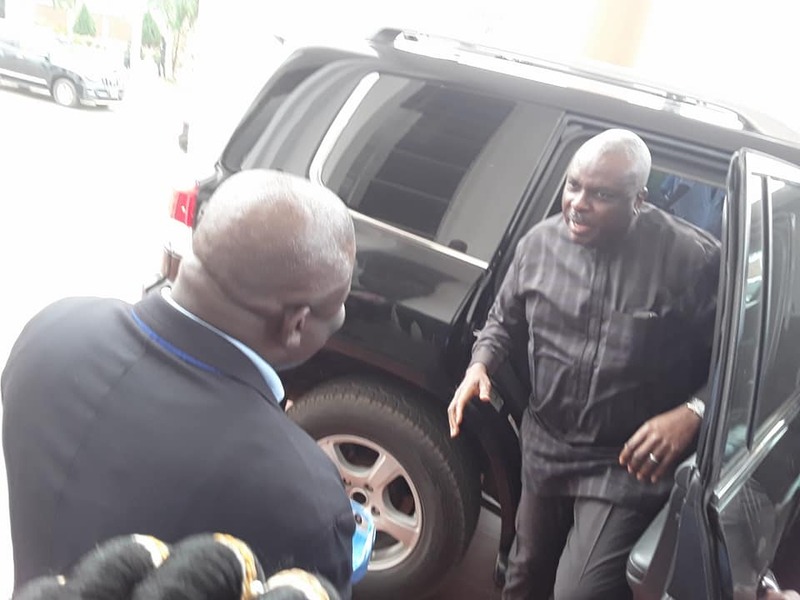 He returned to Nigeria in February this year.